The discovery of large hydrocarbon deposits in the Arctic has sparked international competition over resources in frozen waters. Regional powers are quickly filing claims for the sea shelf, with Russia preparing to bring in the biggest bid to the UN. Ahead of Moscow preparing to file a 1.2 million square kilometer Arctic waters bid to the UN later this year, President Vladimir Putin commissioned Russian ministries to get ready to take the new territories in the Sea of Okhotsk under full control and protection. 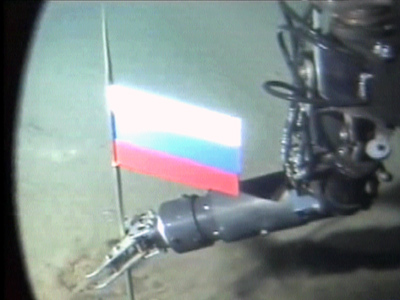 The Russian president ordered maintenance of border patrols of the extended sea shelf be in place by July 1, 2014. Russia’s Defense Ministry has been instructed to ensure maritime authorities extend the Russian shelf in the Sea of Okhotsk beyond the generally recognized 200 nautical miles zone by December 1, 2015. The Foreign Ministry is obliged to bring all the necessary documents, including new maps of the Sea of Okhotsk and scientific data serving as proof of Russia’s bid, to the UN by March 1, 2015. 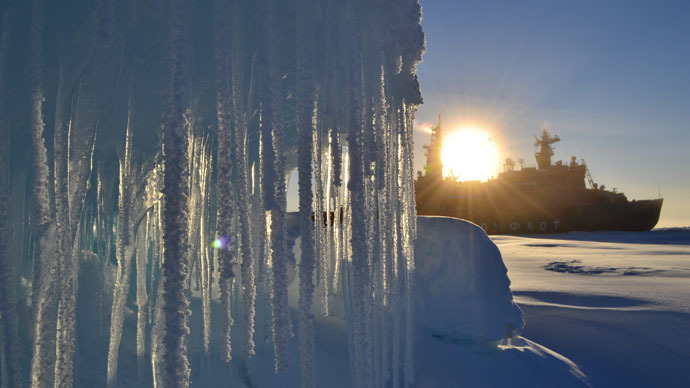 Experts say the future of the world economy, to some extent, is dependent on the Arctic. 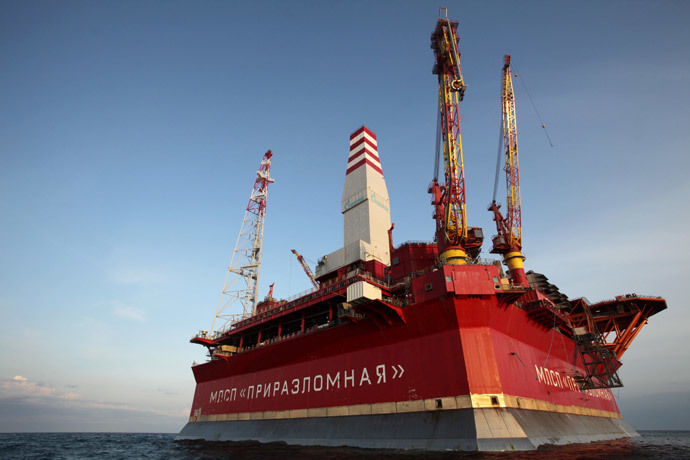 Last year, Russian energy giants, Gazprom and Rosneft, were granted rights to develop large hydrocarbon deposits recently discovered in the Pechora and Kara seas. 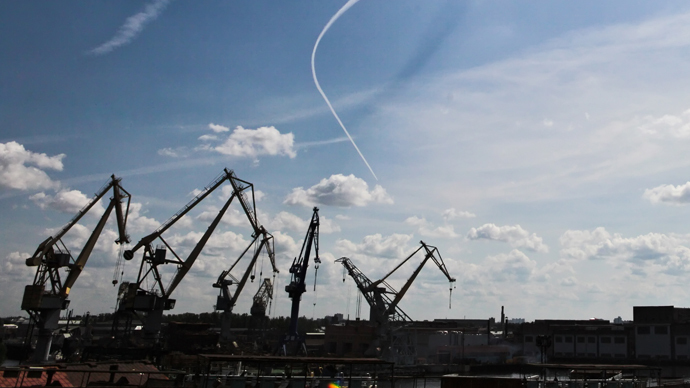 The find could be a pot of gold for Russia’s gas industry. The melting Arctic ice cap has made way for shipping routes and the exploration of resources at the bottom of the world’s smallest ocean. 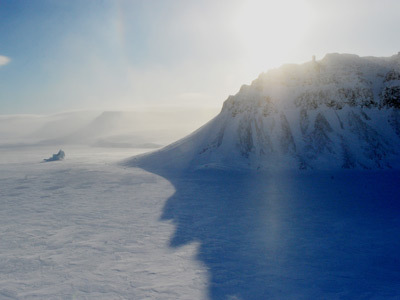 The North Pole icecap has decreased by 40 percent since 1979, opening up two shipping routes, the North Sea route and the Northwest Passage, with extremely high economic potential. Approximately 30 percent of the world’s undiscovered natural gas and 15 percent of its oil lie in the Arctic. But the majority, 84 percent, of the estimated 90 billion barrels of oil and 47.3 trillion cubic meters of gas remain off shore. According to the UN’s sea convention, any country has sovereign rights to resources within 200 nautical miles of its territorial waterways. There are five countries with territories in the Arctic: Canada, Denmark, Norway, Russia and the US. 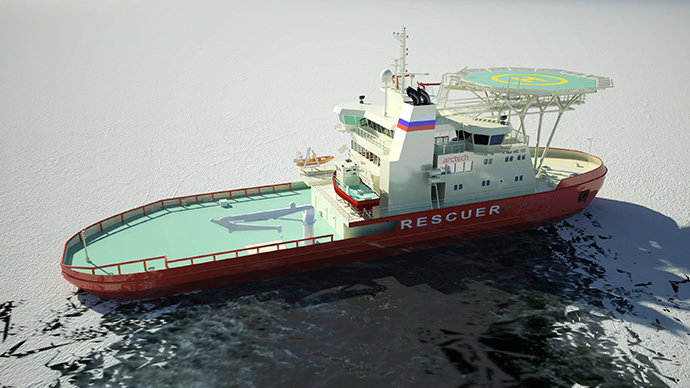 Over the past decades an international framework and an Artic Council has been established for offshore oil and gas activities, as well as to foster cooperation among the Arctic five. 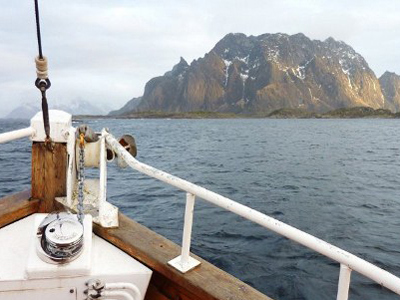 When it comes to the Arctic, world powers talk of cooperation. “Russia, the major Arctic power, is ready for close partnership within the Arctic council,” Russian President Vladimir Putin said. “Ultimately, we envision a secure and stable Arctic, where all nations’ interests are safeguarded, and where all nations work together to address problems and resolve differences,” Hagel said. But actions often speak louder than words. As the icecaps are melting, a military race is also building up in the region. 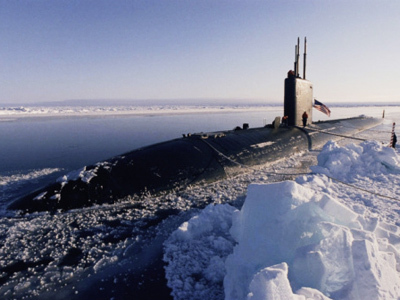 The US Navy recently debuted a revised roadmap focused on expanding America’s muscle in the world’s coldest ocean over the next decade, increasing the number of personnel trained in Arctic operations, advancing technical equipment and surveillance needs. The ultimate goal appears to be establishing international order under US leadership. “They want to be a leader and they see themselves as a driving force in the future planning of the Arctic,” Canadian journalist Ed Struzhik told RT. Earlier this year, NATO countries participated in a Norwegian-led Cold Response exercise in the Arctic, rehearsing high intensity operations with 16,000 troops deployed in extreme conditions. Non-NATO participants, Sweden and Switzerland, also took part. 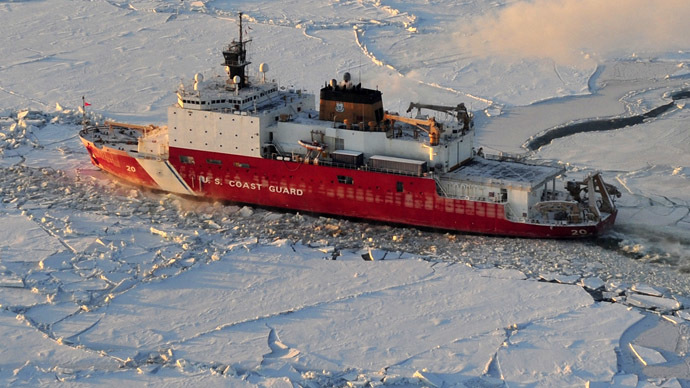 “The United States is anxious to militarize the Arctic Ocean. It has to do it via its relations with Canada and it is also seeking to do it via NATO, through the participation of Norway and Denmark in NATO. And now it is calling upon Sweden and Finland to essentially join NATO with a view to establishing a NATO agenda in the Arctic,” Michel Chossudovsky, from the Centre for Research on Globalization in Montreal, revealed. Meanwhile, Canada has been staging its own independent drills with hundreds of soldiers participating in cold-weather winter warfare exercises. Not to be left out, last year Russia announced the resumption of a constant armed presence in the Arctic, which was abandoned by the military after the fall of the USSR. 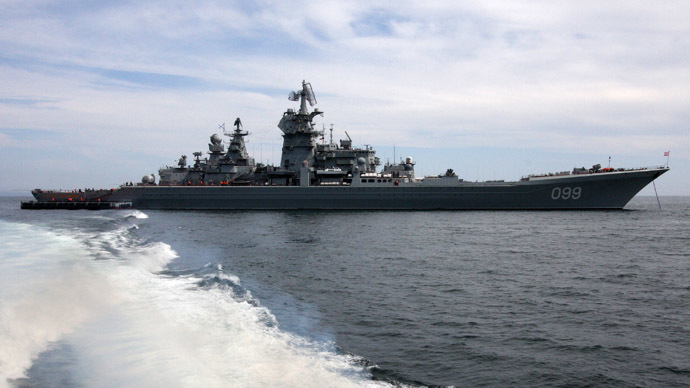 The Russian Navy’s task group headed by the country's most powerful battleship and the flagship of the Northern Fleet, cruiser Peter the Great (Pyotr Veliky)went on a long-distance cruise in the Subarctic along the Northern Sea Route, which became a flagship mission in the region. 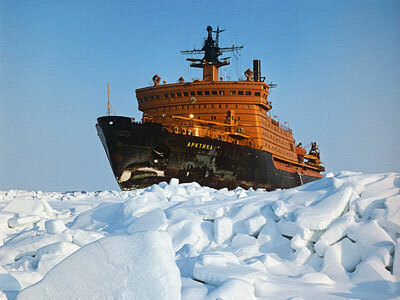 The group was accompanied by four nuclear icebreakers facilitating the passage through areas with particularly thick ice. Now the once deactivated infrastructure will resume operation, with Russian strategic bombers patrolling the Arctic on a regular basis. 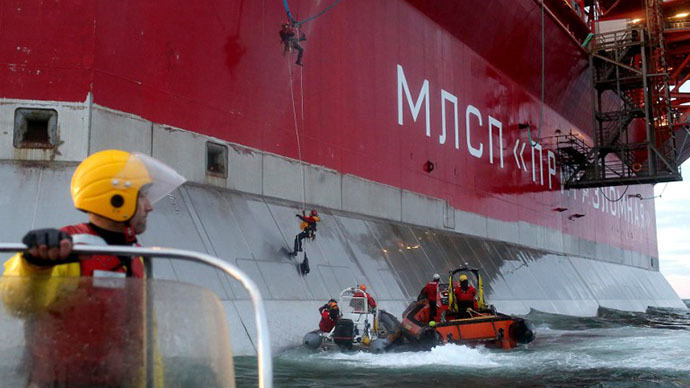 Last month, Russia’s Airborne Troops parachute-landed on drifting ice flows in the Arctic Ocean near the North Pole in a first-ever daredevil training search-and-rescue operation. Moscow has been calling for tighter security along the country’s arctic frontiers and along its maritime transportation routes in the polar region. 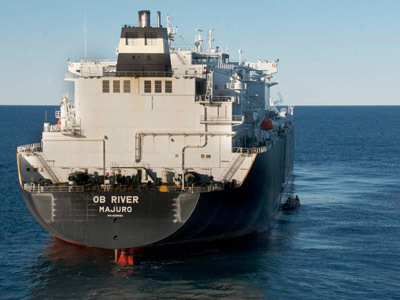 “There is an interest in having common standards for shipping and oil and gas development, and maybe the big future would be common trade that you produce things shipped from one place in the Arctic to the next,” Kullerud said. 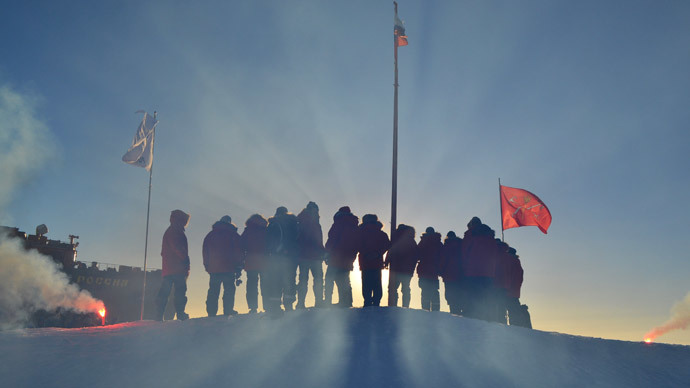 According to those with experience in the Arctic, conquering one of the most extreme regions on Earth is no job for just one country, regardless of its military might. Experts say safeguarding and exploring the top of the world can best be achieved through international co-operation. In about 40 years, Russia may lose its sovereignty if it fails to clearly set out its national interests in the Arctic, Rogozin said. “It’s crucially important for us to set goals for our national interests in this region. If we don’t do that, we will lose the battle for resources which means we’ll also lose in a big battle for the right to have sovereignty and independence,” Rogozin stated at a Marine Board meeting in Moscow.